Properties in New York average 4.7 out of 5 stars. Leggett Cottage, High Falls, NY. Property 2: Leggett Cottage, High Falls, NY. PS You're Gonna Love It! Property 8: PS You're Gonna Love It! Lake Ontario, Sodus. Amazing Sunsets! Newly updated, water access, rock beach. Property 11: Lake Ontario, Sodus. Amazing Sunsets! Newly updated, water access, rock beach. New Magical Romantic Catskill's Cottage. Outdoor Hot Tub and Amazing Views! Property 12: New Magical Romantic Catskill's Cottage. Outdoor Hot Tub and Amazing Views! Romantic Getaway in the Gorgeous Finger Lakes - Family Friendly Too! Property 13: Romantic Getaway in the Gorgeous Finger Lakes - Family Friendly Too! 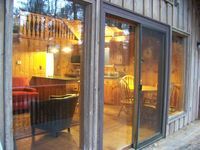 Romance, Year-Round Outdoor Adventure, Whiteface Views, Hot Tub, Fireplace! 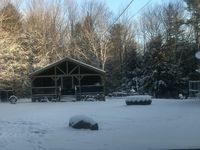 Property 33: Romance, Year-Round Outdoor Adventure, Whiteface Views, Hot Tub, Fireplace! Quaint Yonkers Condo - 1 Block to Hudson River! Property 41: Quaint Yonkers Condo - 1 Block to Hudson River! Waterfront cottage with private dock and boat launch! Property 46: Waterfront cottage with private dock and boat launch! It's a nice, quite, peaceful place to relax. Its close to most things yet it has a middle of no where feeling to it. I would definitely recommend this place and plan on coming back again! Our stay at the cabin was wonderful. Clean, organized and we'll maintained. Stocked with kitchen and bath supplies. also laundry machines available. Hiking sites nearby are great. Ate lunch at the country cafe and had great home made food with pleasant friendly people.